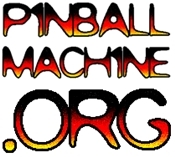 Bay Area pinball player Louise Wagensonner (IFPA Profile) took 2nd at the It Never Drains in Southern California tournament. The tournament draws players from all over the US and even a few international participants. INDISC is both a PAPA Circuit Event and STERN Pro Circuit Event so competition was especially fierce. Louise is ranked 224th in the world in the overall rankings of over thirty thousand players, and is the fourth highest ranked Woman. Great job on the win and representing the Bay Area, Louise!